Nationally known artist, Bob Upton, fits his passion for plein air painting into his busy schedule as Creative Director for an advertising agency. 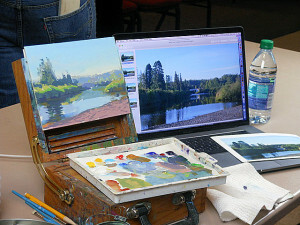 Giving a nod to one of his early painting teachers, NorthStar member Judy Blain, Upton has received several awards and was the featured cover artist in the November 2015 issue of Plein Air magazine. Upton showed several paintings in his small (6 by 8) moleskin sketchbooks. 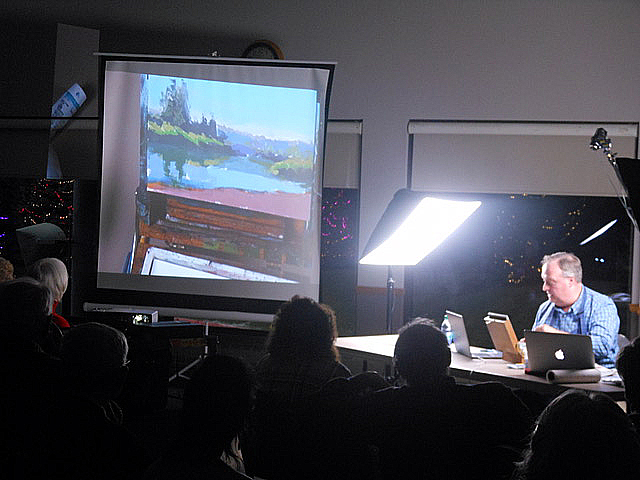 He began his demonstration squeezing Holbein Acryla Gouache paint onto his palette – a warm and cool red, yellow, and blue, as well as white. 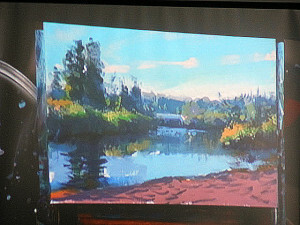 Though he usually paints directly from nature (plein air), he used a reference photo taken on the North Shore near the Brule River. He brushed in a blue sky and always works for a gradient from top to bottom. 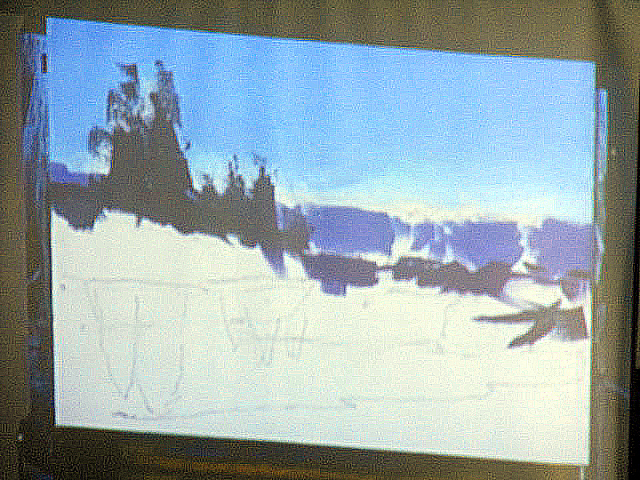 Then, starting with the darks, he painted the values first, then the shapes. He does his painting in four stages: 1. Draws, paying attention to perspective 2. Blocks in shapes and covers with values 3. Refines with accents. 4. Creates atmosphere with glazes and “scumbles.” Upton prefers to paint in late afternoon, as the color deepens as time passes. Paying attention to trees and reflections in water, Upton covered the paper before the break and came close to finishing by the end of the meeting. 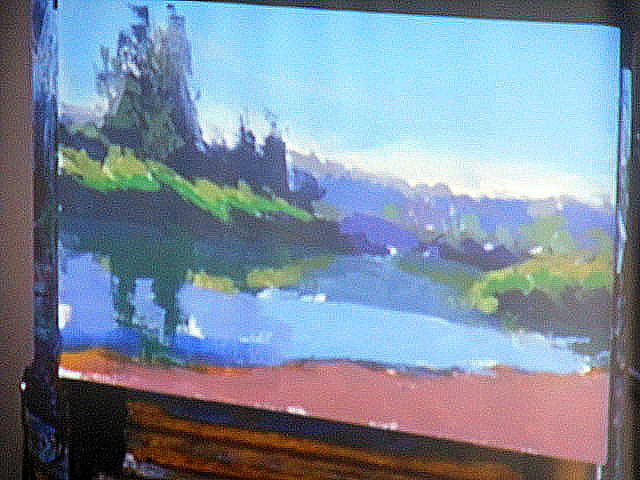 He will post the finished painting on his website.